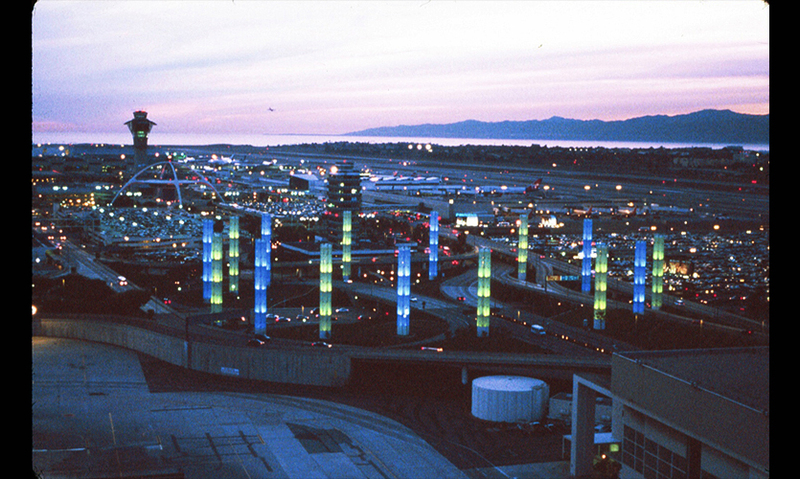 This dynamic landmark gateway into LAX includes 32-feet-high letterforms, a ring of fifteen 120-feet-tall pylons forming a bold gateway into the airport, and equally-spaced columns that steadily increase in height along a two-mile roadway median leading up to the gateway, evoking the experience of take-off and landing. 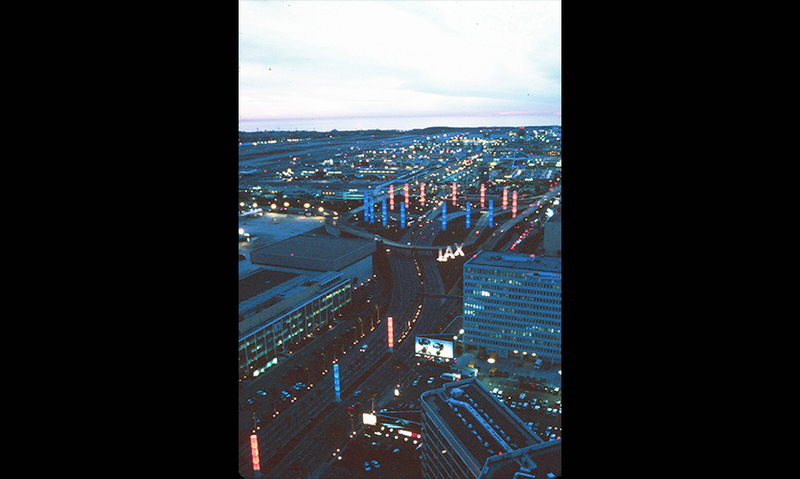 The personality of the gateway dramatically changes at night through the use of computerized lighting effects. Completed in anticipation of the Democratic National Convention, the monument reflects the unity and diversity of the LA experience and serves as a gateway into Los Angeles and the United States. "The simple columns are an appropriately scaled solution to improving a non-descript area. The project reminds us that simple solutions are often the best ones. 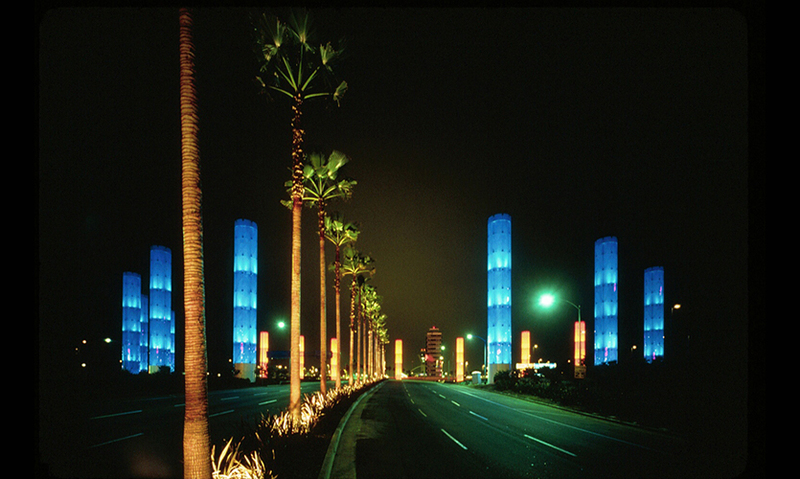 The columns express the futuristic vision of Los Angeles while seeming to sprout from the ground organically. Unobtrusively providing some aesthetic context where it was so desperately needed, the vertical forms and their soft-looking skins make a perfect counterpoint to the concrete ramps surrounding them. Spacing and changes in color make for a dynamic installation."